23 Aug SW of Arras 8 km to relieve 4/5 Black Watch. Position on right support M?.c.9.1. Telegraph Hill Switch System… at Neuville Vitasse - Menin RR. Arras-Albert Railway. A switch trench was a secondary system of trenches dug in the event that the first was taken. A switch trench was dug to connect the second to any part of the first not yet taken. 24 Aug 28th Bn WD: Bn to 'carry' the village of Neuville Vitasse and proceed as far as the western edge of the village of Wancourt. Bn to outfit for battle at once. Postponed 24 hours. ' C Coy will send parties into the village of Neuville Vitasse with the object of "mopping up" any enemy post which may remain.' Then all change. 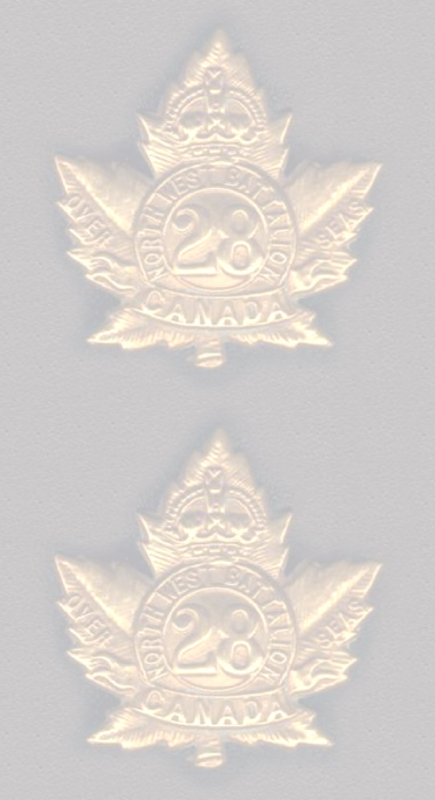 26 Aug Canadians advanced 3 miles and captured Monchy-le-Preux and Wancourt. 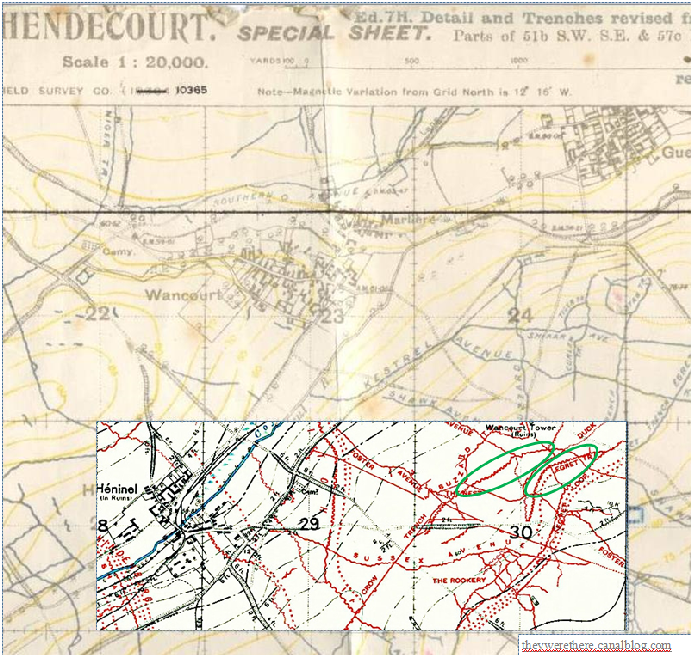 30 Aug Having had little or no rest for several days, the Bn was withdrawn to Wailly south of Arras. Mopping Up: an Army term for clearing out any small pockets of resistance left behind after an advance. This was delegated to a company or platoon, depending on the size of the battlefield. It meant entering seemingly deserted or defeated machine gun posts, trenches and dug outs to either capture or dispatch enemy left behind—a gruesome task and not without its own risks. No doubt they also confiscated any intelligence, armaments or weaponry that might be of use. The area was then left for the salvagers to collect any bodies for the burial parties to deal with. Injured enemy were sent to Aid Posts for treatment. Prisoners were disarmed, identified, and sent to the rear to collection areas known as cages—usually surrounded by barbed wire and guarded. Officers were separated from the ordinary ranks. The latter were more talkative than the former and more likely to give useful information. In due course they would be fed and/or given medical attention then sent to prisoner of war camps. The degree of humane treatment varied. This was the general procedure for all sides in the war.